Joshua has over forty years of diverse commercial real estate experience, and has focused his career for the past 23 years working as an advocate for tenants successfully representing hundreds of clients and millions of square feet in real estate transactions. Since founding Winslow & Company in 1999, Joshua has assembled a dedicated, experienced, and high caliber team of real estate professionals with relevant backgrounds, creating one of New York City’s leading boutique real estate companies representing tenants. Joshua attended Boston Architectural Center for architectural design and North Eastern University for mechanical engineering. Prior to founding Winslow & Company, Joshua’s career included working with leading companies in architectural design, mechanical engineering, facilities management, and project development for large commercial properties. 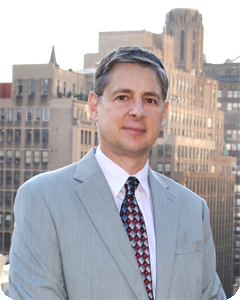 Michael is one of Winslow & Company’s senior brokers, helping Manhattan tenants find office space since 2005. He excels at all facets of commercial leasing, from lead generation to deal close and has completed deals totaling in excess of 400,000 square feet, while representing a wide variety of tenants, including creative, technology, professional, and financial firms. 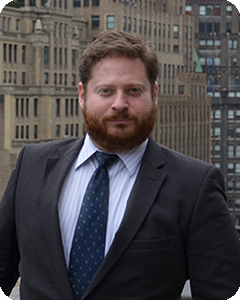 In addition to commercial brokerage, Michael earned a BA in Political Science from SUNY Purchase, and has a previous professional background in wilderness and urban emergency medical care. Michael is a native Manhattanite and is just as comfortable in a crowded bar in NYC as on the top of a Mountain in Maine. Liz has joined Winslow & Company in 2008. 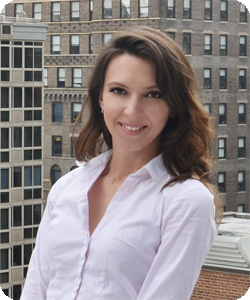 She has a Bachelor of Arts Degree in Business Administration and a real estate license, which allows her to ensure all in-office operations are efficient, as well as work or real estate transactions with other team members. She speaks several languages and enjoys learning about different cultures. Liz spends her free time drawing, doing yoga, and exploring NYC’s art and music scene. 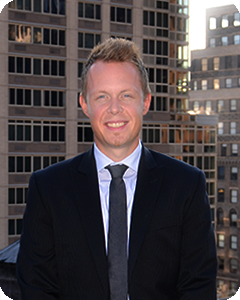 Philippe Lesbre joined Winslow & Company in 2014 and has quickly become one of the firms most successful agents. Before joining our team, Philippe had a successful career in restaurant management and worked as the director of beverage & wine for some of New York City’s most revered four star restaurants along with owning and operating the Bronx Beer Garden. Philippe’s experience leasing space for his own business affords him a unique viewpoint of the opportunities and pitfalls in a commercial real estate transaction. Philippe speaks French fluently and is a natural choice for our French speaking clientele. Philippe lives in Manhattan and enjoys fine dining, sports, and music. Peter, born and bred in Sweden, has been living in New York for the past decade. He obtained his BBA in marketing management from the Zicklin School of Business in Baruch College. Peter’s passion for real estate, along with his educational background and past experience in the hospitality industry equip him with a wide array of skills that are essential in the commercial real estate industry. His perseverance, hard work, and negotiating skills have quickly earned him respect from clients and peers alike, as well as a loyal following of returning customers. 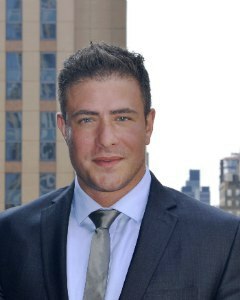 He is a fierce advocate for his diverse clientele’s interests, prioritizing their satisfaction above all else. When away from work, you can find Peter hanging out in Ridgefield, CT with his lovely wife Julia and two kids, or scoring goals on the soccer field. Along with English, Peter speaks Swedish fluently, German conversationally, and a spattering of Hungarian. Christopher Gifford has worked in real estate since 2013; his work ethic and dedication to the clients has led him to a successful career in commercial real estate. 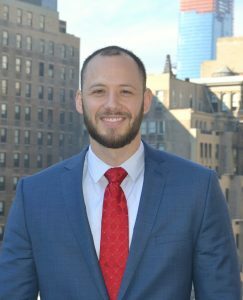 Specializing in tenant representation, Christopher has worked with an array of clients from start up companies to established firms, advising them on every aspect of the New York City leasing process. Prior to real estate he worked in the hospitality business managing upscale restaurants in Midtown, where he honed his skills in customer relations.